The city of Leon Guanajuato is famous for selling shoes - there is a shoe market where you can find all kinds of discounts and good quality items. 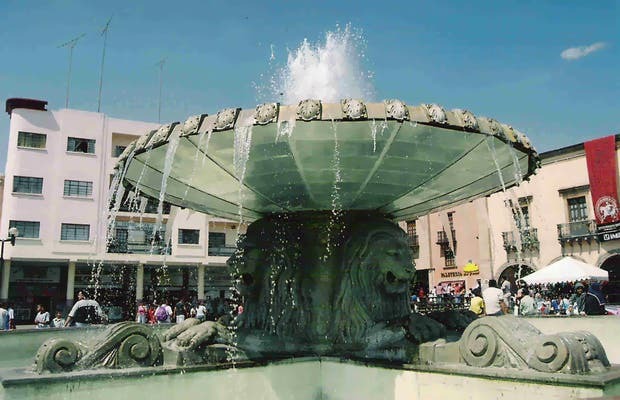 The Fountain of the Lions is located in the pedestrian area, next to the house of culture and across from the memorial plaque with the names of the first Spanish settlers of the city. This fountain is really surprising - it is large, made of brass and contains the images of four lions. It was built with for the celebration of the 400th anniversary of the founding of the city (1976). Is a beautiful place I like the architecture of the wellspring :)!